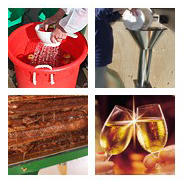 This "flag-ship" 5 day programme provides a comprehensive grounding in the main and principles & practices of cider & perry production and orcharding. The course includes key commercial considerations and is suitable for new and existing producers alike. 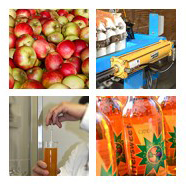 Management of cider & perry production as biotechnology – its microbiology & biochemistry. 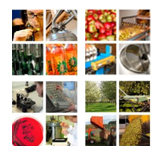 Selection, application & management of production processes & technologies. 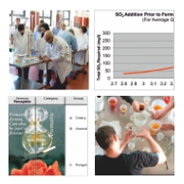 The flavour of cider & perry and sensory evaluation of the products concerned. Laboratory analysis, Quality Control & Quality Assurance. The previously very successful individual courses shown below are now all combined into the "Cider & Perry Production - Master Class"
Course Fee Discounts. For these UK-based training courses, early booking discounts and some grant-aid may be available to assist with the payment of course fees. For further information, please see details of each course or telephone Mitchell F&D Limited (01531 828330). Most of the information is available as downloadable PDF files, which require that your computer has "Adobe Reader" installed.